Blake Lively, step aside. 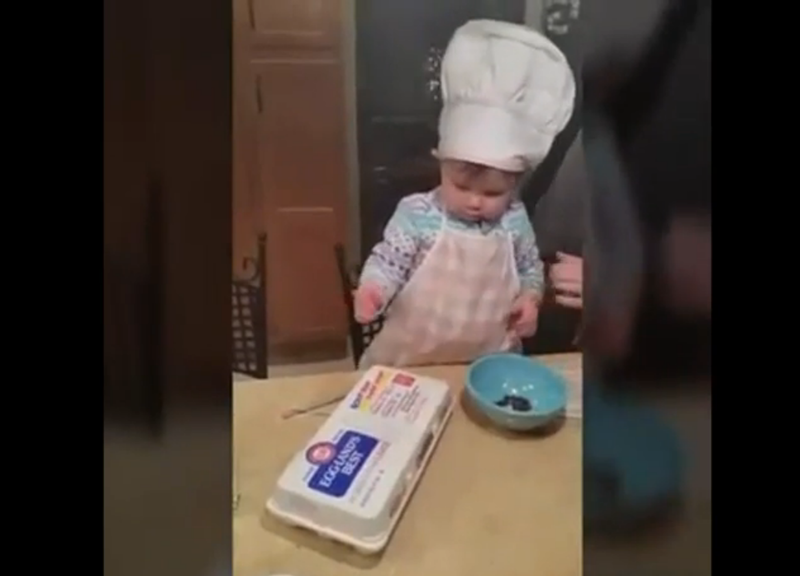 We’ve found someone who can make cracking an egg look better than you can. Um, could she be any more casual about the whole thing? Bet her mom feels pretty dumb now about questioning the dad’s request that she give their 16-month-old an egg. The child is Julia Child: Not only does she seem pretty confident in her abilities, but we’d feel pretty good about letting this little lady run wild in our kitchen. Our absolute favorite thing about the video, though? Gosh, she looks so adorable in that chef’s hat, we can’t even handle it.